Nearly Three Quarters Of Customers Use Local Search For Information. Posted on 28th October 2011 at 12:44. According to the latest research from respected advertising agency MDG, 74% of consumers looking for information related to local businesses do so online using search engines. Furthermore, MDG predict that this figure is set to continue to grow. Search will remain the primary source of local information, and by 2015 30 percent of all searches will be localised. Currently the revenue generated by local search is £3.15 billion, but figure is estimated to grow to £5.9 billion. If there is any lesson to be learned from this research, it’s that all local businesses who want to be part of this boom should take this as a cue to get their local SEO strategies up to speed. MDG discovered that it’s the increasing use of mobile devices to locate nearby local businesses that is driving this growth. As mobile devices use mobile search applications, the location data stored in their handsets is factored into the search results: effectively, every mobile search is a local one. As the popularity of smartphones and tablet devices increases the figures for local search will simply grow exponentially. Twenty percent of mobile users use a search application every day, a growth of over 20% on the previous year. Local businesses that use content marketing to target prospects in their area should also be aware around 12% of consumers say they always use local search, not just because it’s more convenient, but also because they have a greater confidence and trust in local brands and businesses. What’s more, 36% of these consumers go on to purchase locally. So if your business has yet to target its local market, is there anything you can do to ensure that customers come to you rather than your competitor? Well, yes there is. If a business wants to thrive it needs to optimise its internet output for the local market: in other words the business needs to apply some basic local seo principles to its websites to compete with the other local businesses. What should local businesses look at? Website design and domain name. Every local business should have a website with its own specific domain name. The website needs to be designed in such a way that it reflects both your business identity and the services and products you sell. Put yourself in your customers’ shoes and ask the question what do they want from me? Ask yourself what can I offer them that will make them stay on my site and engage with what I’m offering or saying? If you manage to answer that question, you’re on your way to creating a successful local business. Blogs are an essential part of any local seo campaign. They give business the opportunity to engage and interact with their customers. Blogs are best served by posts, whilst websites work best with static pages. The other benefit of blogs is that they can also rank in search engines on their own: businesses can therefore hope to rank on Google and the like in two different ways – website ranking and blog ranking. 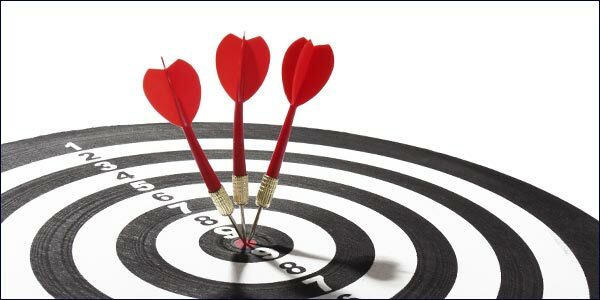 Most local businesses will concentrate to some degree or other on geographic keyword targeting. In other words, the services or products you offer should be targeted towards the local community which you serve. The majority of local searches are geographically targeted, so it makes sense to use this information to your advantage. Towns, cities, neighbourhood names and counties should all be targeted. It’s also important to remember to title all your web pages and posts with these geo-targeted keywords. The majority of competitive keyword rankings come from off-page seo: some would even argue that this figure could be as high as 80%. Of this 80%, links are the most important element. Links from good quality, respected sources add kudos to your own business, and are highly regarded by the search engines. If you have a local business address, then you really need to have a listing on Google places. These listings are shown at the top of the Google results pages with a flag and a Google map. It may be that if your business caters for a niche market, then yours will be the only flag displayed: however, in most cases there will be competition, and your business flag may be just one of many. You may wonder what the point of a Google listing is if there is strong competition, but local seo is all about getting your business listed in as many places as possible. If you’re not listed then customers may not find you. Social networking is the growing trend of the moment. Over 600 million people have signed up to Facebook alone. Social networks help businesses build an online community. Local businesses can gain by using Facebook as a source of information: you can tell your customers all about the business, the people who work for you, what you offer and any special promotions you may offer. Twitter is an ideal tool for building the reputation of local businesses. You may only get 140 characters to tweet with, but it’s surprising the amount of information you can get in that. Tweets are surprisingly accommodating, and can be put to good use in a local market, but remember to keep your tweets predominantly business-related, and to try and avoid too much of the personal stuff. Tweet to advise customers of special offers advertised on your main website or Facebook page. You could even try offering your customers Twitter-only deals, or time-limited deals. Could Social Media Marketing Help Your Business Grow?SEO Isn’t Rocket Science: Keep It Simple.